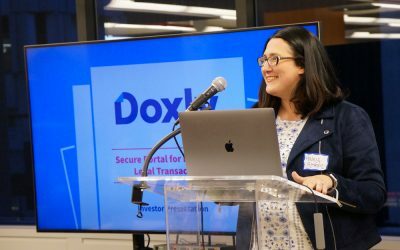 Recap of our 8/30/18 “Drinks + Demos” event at Blank Rome. 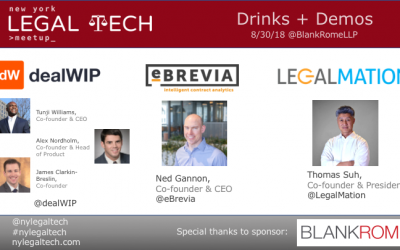 Join us on Thursday, August 30th, for our quarterly “Drinks + Demos” event at Blank Rome LLP. 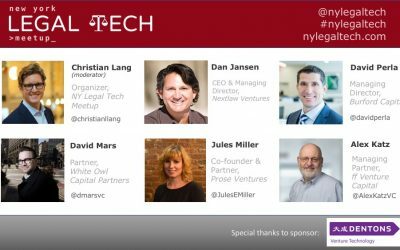 There’ll be food, drinks, networking, and demos from some of the most interesting legal tech companies in the market today! 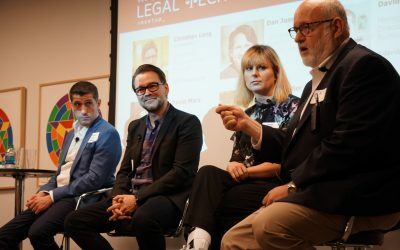 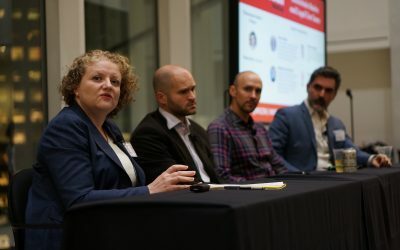 Video of the NY Legal Tech Meetup’s “Investing in Legal Tech” panel at Dentons on 7/26/18. 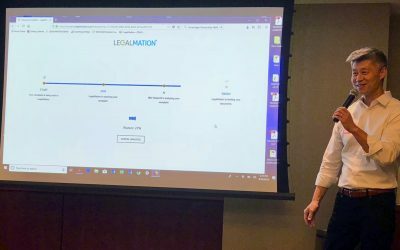 A recap of our standing room-only “Investing in Legal Tech” event at Dentons on 7/26/18. 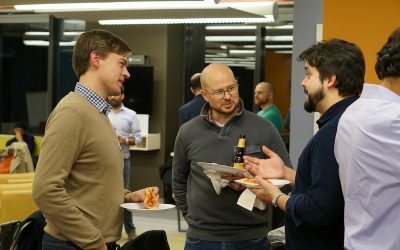 Join us on Wednesday, June 13th, for our quarterly NYC Legal Tech Meetup Happy Hour! 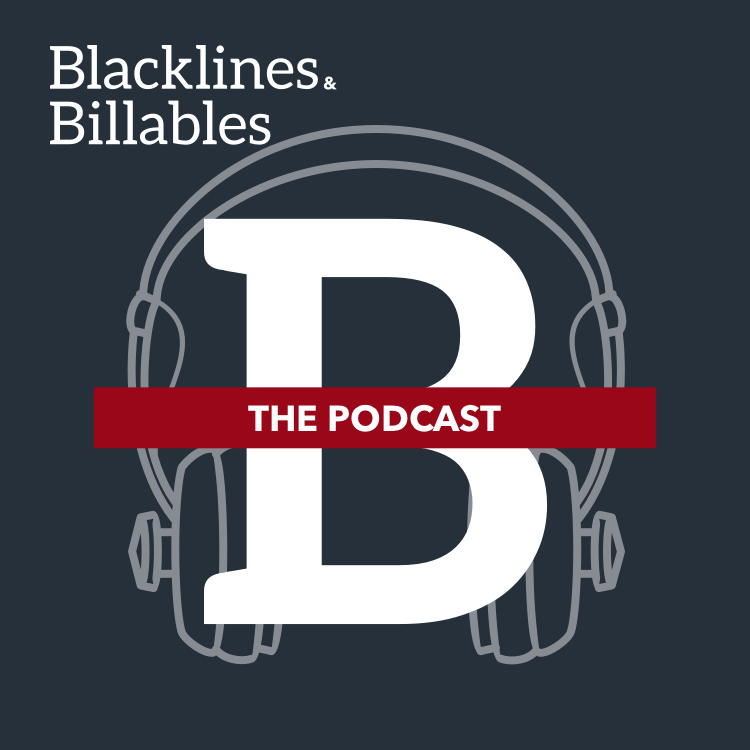 We’ll be a Jack Doyle’s starting at 6:30 p.m.! 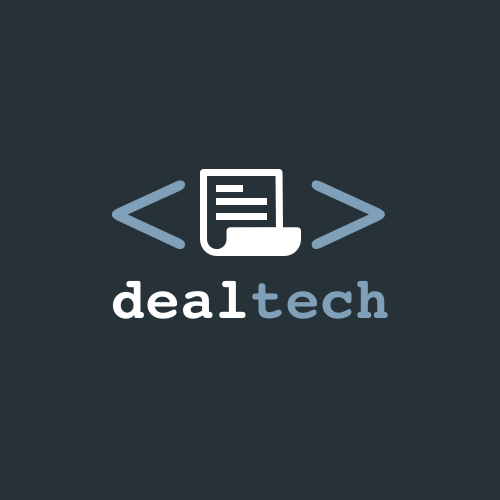 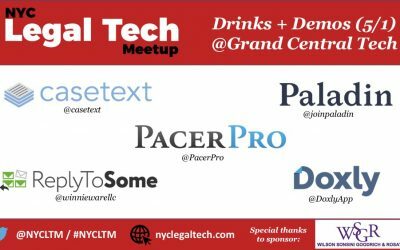 Join us for the NYC Legal Tech Meetup’s “Drinks + Demos” at Grand Central Tech on May 1st at 6:30 p.m.